Keeping your teeth clean and healthy takes more effort than just going to the dentist once or twice a year. Dentist Dr. Jeremy Bauer of Alaska Dental Arts North Pole in North Pole, AK, is adamant about teaching his patients best dental care practices. The family dentist offers a wide range of dental services, including basic cleaning care, dental veneers, and teeth whitening, and wants to ensure all of his patients keep their teeth clean and healthy, especially before going to bed. Take Your Time Brushing: Don’t skimp on brushing just because it’s late at night. Take your time when brushing your teeth to make sure you get each and every tooth, crevice and gum before you set the toothbrush back in its holder. 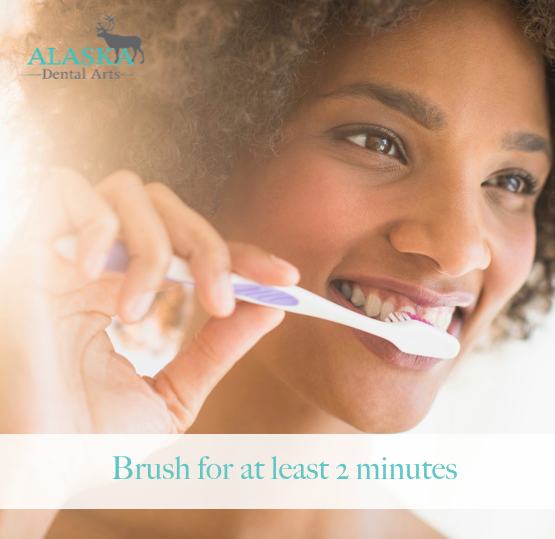 Alaska Dental Arts North Pole recommends that you brush for at least 2-3 minutes to get your mouth and teeth entirely clean. Don’t Forget To Floss: No matter how tired you are, it’s important to push yourself to floss your teeth before bed. After a full day of eating, you may have food stuck in your teeth. Floss away all the small bits of food so you don’t wake up to any cavities and bad breath. If you have trouble flossing, ask the dentist at Alaska Dental Arts North Pole for guidance so flossing doesn’t have to be such a chore. Set A Routine: It can be hard to get kids to brush their teeth, especially when they are tired, so set up a nightly routine that you can all follow as a family. Sticking to a certain time each night helps everyone get into a proper schedule that's easy to remember. To schedule your next appointment with the family dentist, call Alaska Dental Arts North Pole at (907) 490-4650. Visit the website to see an extensive list of their services.